The paper investigates the current state of provision of learning technologies for autistic people and makes recommendations for the design of new technologies and the need for further research. The work is introduced by a discussion of autism from the perspective of the social model of disability. 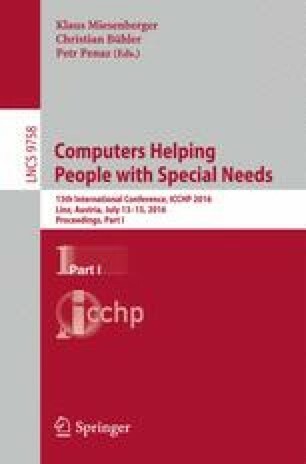 End-user involvement is obtained from interviews with autistic women and surveys of Polish teachers, therapists and psychologists working with autistic students, and teachers and parents on accessible and usable educational games. Thanks to the autistic women who participated in interviews & the teachers, other education professionals and parents who completed questionnaires.